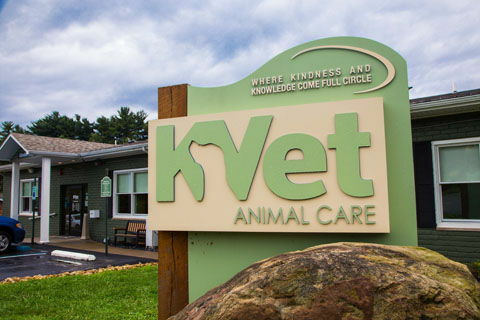 Your pet is special to you -- and that's why we're so happy to welcome you to the official website for KVet Animal Care, where we love animals as much as you do! 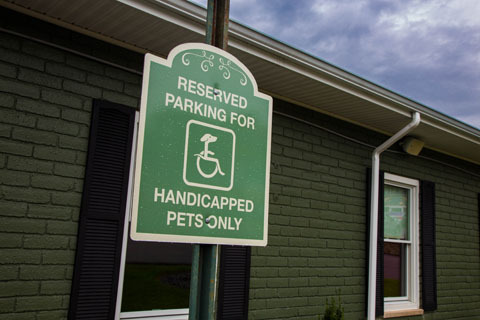 Conveniently located at 1 Gibraltar Way in Greensburg PA, our vet team has the skills, services, and compassionate attitude you're looking for. We look forward to attending to every aspect of your pet's primary health care, and we're looking forward to meeting you once you've scheduled your first visit to our office! 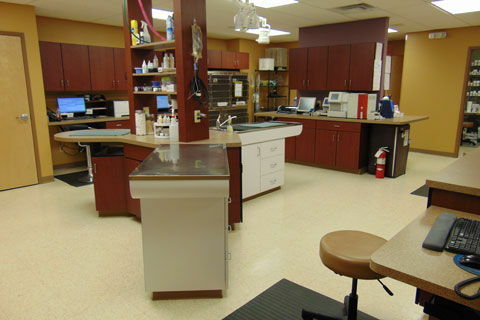 Any Greensburg veterinarian on our three-practitioner team can serve as the ideal vet for your pet's needs. Clinic owner Dr. Alexandra Kintz-Konegger has a world of veterinary experience behind her, from caring for elephants in Sri Lanka to offering equine health consultations in Egypt. She is also certified in veterinary acupuncture. Dr. Brian Hougentogler, who received his degree at the University of Illinois, performed veterinary services at a practice near Murrysville for 11 years before joining our team in 2017. 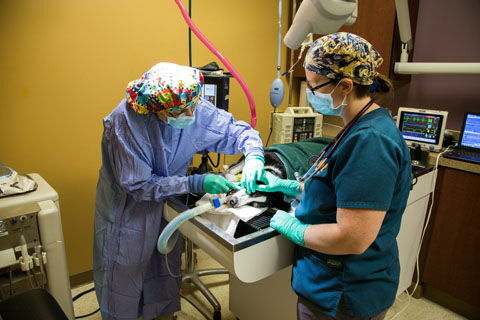 Dr. Ivy Barhnart, who received her doctorate from Ohio State University, provided rural veterinary services for 8 years before moving to KVet Animal Care. Our patients benefit greatly from the wide range of knowledge and expertise we have on our team -- which you'll appreciate from your first consultation. Wellness care - From wellness testing, exams, and vaccines to allergy testing, microchipping, and prescription diets, we have your pet's wellness well in hand. Traditional Chinese Medicine practices - We can offer acupuncture, acupressure, and herbal remedies for natural healing. Dental care - Leave your pet's oral health to us, from exams and cleanings to dental treatment. 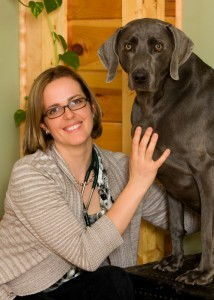 Chiropractic care - Yes, pets can benefit from chiropractic adjustments too! Surgery - We can provide a wide range of surgical procedures and treatments. 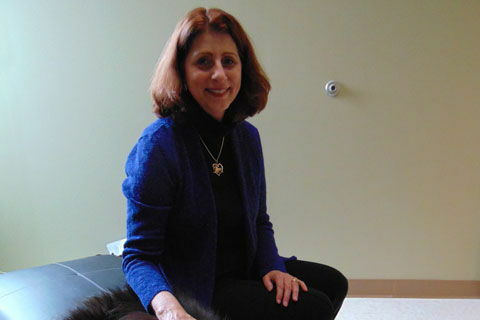 Laser therapy - Laser therapy is a safe, drug-free way to help your pet heal faster and manage pain. Does Your Pet Need a Veterinarian? Schedule a Visit to Our Greensburg Office! We've only listed some of our many services on this page, so feel free to browse our site for more information. Then call 724-216-5174 or make an appointment online so we can meet you and greet your pet in person! SIGN UP USING THE FORM OR CALL US AT 724-216-5174. Wendy graduated with a B.S. in Biology from University of Pittsburgh at Johnstown. She had 11 years of experience in the medical field and over 15 years of experience in the veterinary field as receptionist, technician and manager of a local animal shelter before becoming the office manager at K.Vet Animal Care. Wendy is married with three children, who are all recent or current University of Pittsburgh students. She has two rescued shelter dogs and two rescued cats. She loves to vacation in the Outer Banks, NC every year. Tim attended Pittsburgh Veterinary Technical Institute. He graduated in February 2011 as Valedictorian of his class, obtaining an Associate Degree in Specialized Technology. Prior to coming to K.Vet, he had worked for 23 years in the metal fabricating industry. After graduation, Tim began working at K.Vet for a span of 3 years. He then left to work at AVETS where he received training as a surgical technician. Tim then returned to K.Vet and is currently working as a licensed surgical technician. Tim is married and lives with his wife of 17 years. He has a son that has graduated from West Virginia University with his Master’s Degree in Agriculture. He shares his home with his 4 pets, Mittens the cat, Jazzie, Bindi and the newest addition, Daisy Mae. 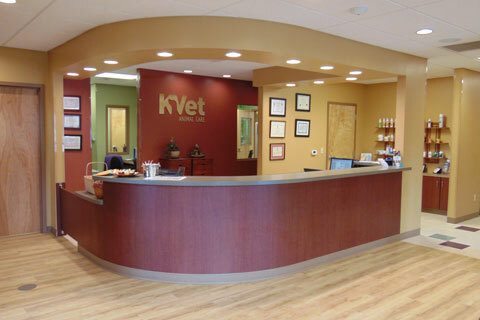 "It's amazing how wonderful Dr. K and the staff at K. Vet are. What a difference from what we've experienced in the past."